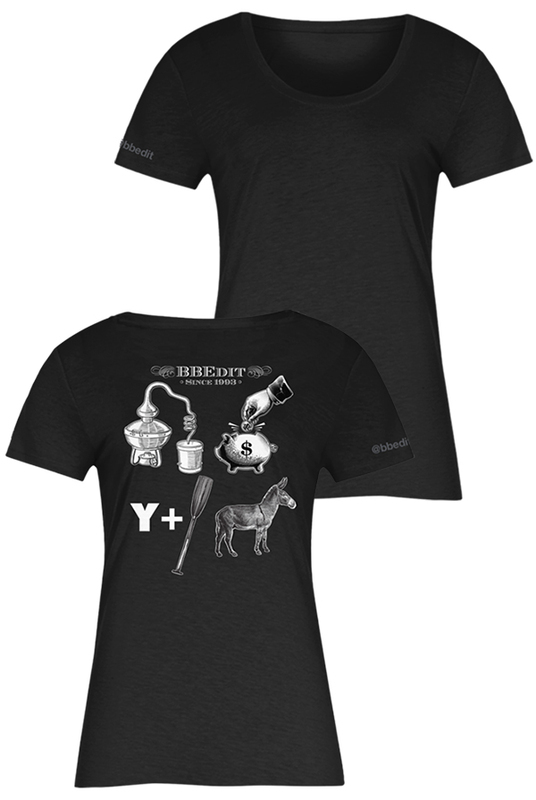 This is our limited-edition 25th anniversary BBEdit T-shirt. For the rebus (no spoilers!) we riffed on our classic “…one day at a time” design. Printed with water-based inks for a weightless feel (after first wash) on a black 100% cotton heavyweight (5.5 ounce) T-shirt.